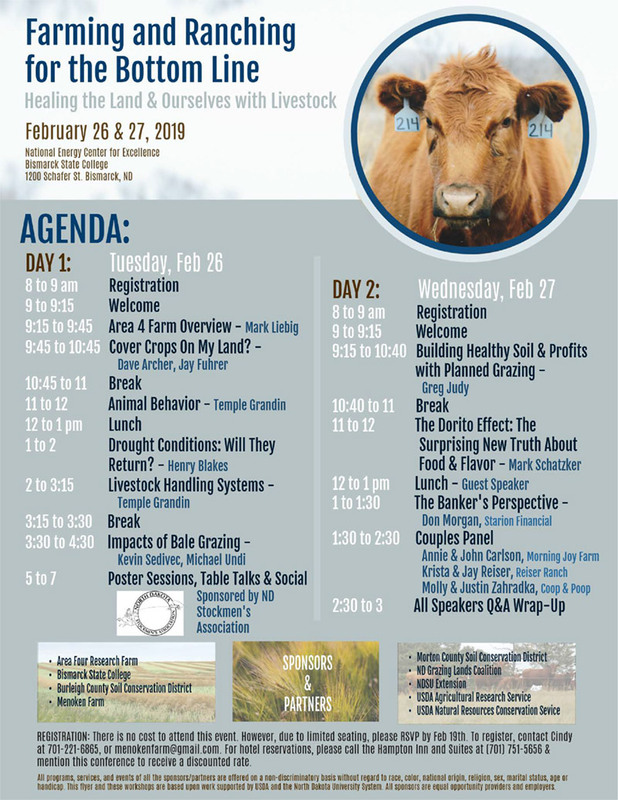 Join us at Bismarck State College for Farming and Ranching for the Bottom Line: Healing the Land & Ourselves with Livestock. Hosted by the National Energy Center for Excellence, there is no cost to attend the event. You will need to RSVP by February 19 by contacting Cindy at 701-221-6865 or menokenfarm@gmail.com.